There have been a couple very interesting records over the past few weeks. On June 27 Roy LaPointe found Greenish Blue at the St. Leonard Airport. This is the first record of the species for the MBA period, and the 50th species recorded by Roy in square 19EN82! Greenish Blue was fairly common in northern New Brunswick until at least the 1990s, but for some reason it appears to be absent from many areas it once inhabited. It is typically found at weedy sites such as roadsides where its host plants, clovers, are common. Given this habitat preference it is likely the species was absent in the Maritimes historically. The cause of the apparent recent decline is unclear. There is certainly lots of weedy habitat still available. Greenish Blue. Photographed by Roy LaPointe June 27, 2015, at the Saint Leonard Airport. 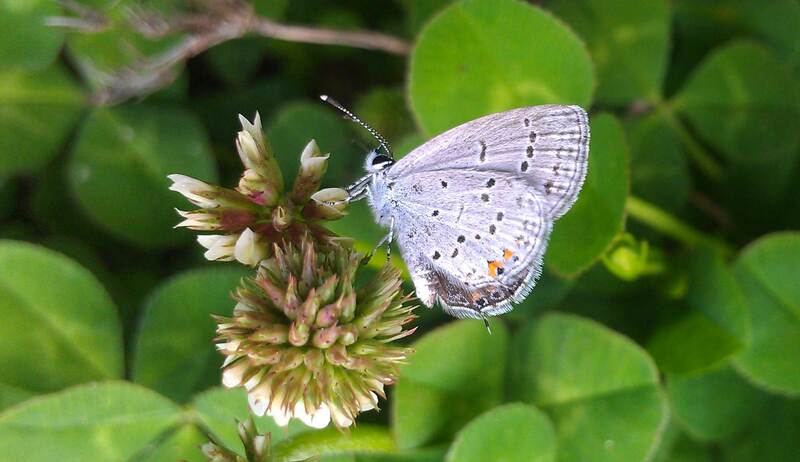 On June 7 and 8 Devin Johnstone and his son Brian found Eastern Tailed-Blue at two sites near Kentville. These are the earliest records for Eastern Tailed-Blue in Nova Scotia, all previous records have been from July or later. 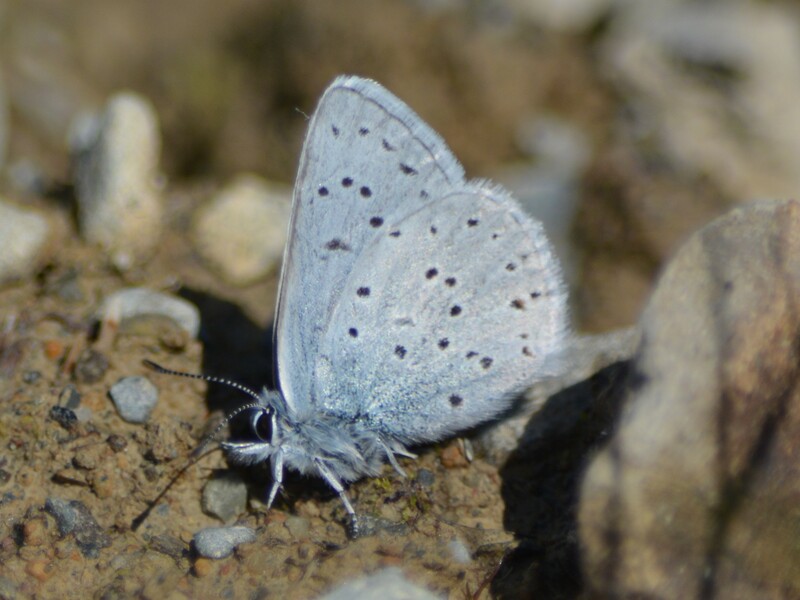 Eastern Tailed-Blue was only discovered in Nova Scotia in 2013. It has now been found in 8 different atlas squares in the province. Early season records like these, and repeat records like the ones that David Colville made in Moshers Corner, Annapolis County, in 2013 and 2014, are strong evidence that Eastern Tailed-Blue is successfully overwintering in Nova Scotia, and not recolonizing the province from further west each year. Eastern Tailed-Blue. Photographed by Devin Johnstone near Kentville in early June, 2015.